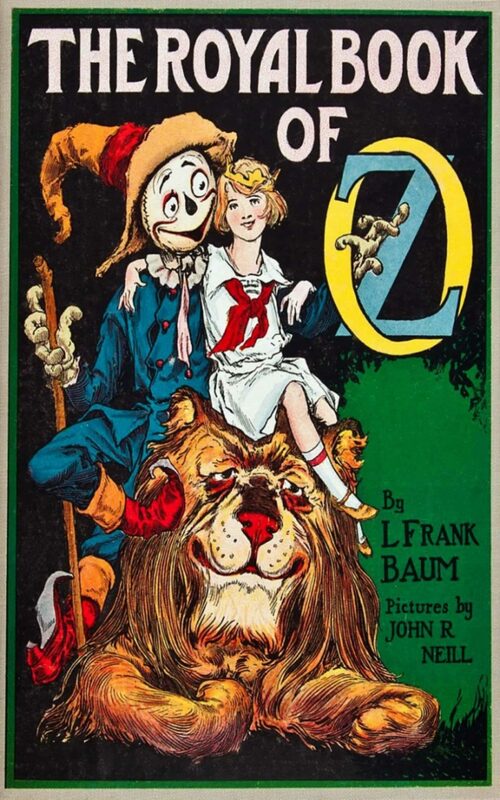 The Royal Book of Oz is the fifteenth in the series of Oz books, and the first by Ruth Plumly Thompson, to be written after L. Frank Baum's death. Although Baum was credited as the author, it was written entirely by Thompson. Beginning in the 1980s, some editions have correctly credited Thompson, although the cover of the 2001 edition by Dover Publications credits only Baum. The original introduction claimed that the book was based on notes by Baum, but this has been disproven. Baum's surviving notes, known as "An Oz Book" are known from four typewritten pages found at his publisher's, but their authenticity as Baum's work has been disputed. Even if genuine, they bear no resemblance to Thompson's book.